An invigorating and refreshing molt with a fairly strong mineral and industrial influence, a balanced sweet-cream component, is rather complex and well balanced. Open, wet, prickly, mineral-metallic notes, engine oil, whetstone, gunpowder, steel shavings, fresh boards, a bit of solvent, sweet creamy tones in the background, lemon peel. 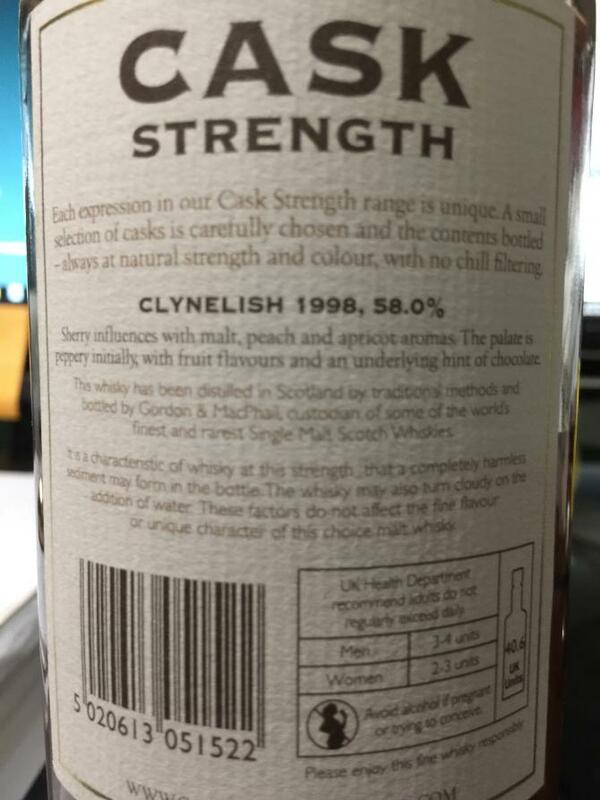 Powerful, rich, oak, bitter bark, pepper, sweet creamy notes, condensed milk, oily shades, ginger, ginger biscuits. Spicy, warming, oak, a little bark, lemon peel in tea, ginger, sweet notes - butterscotch, condensed milk; a little rowan, mineral tones, metallic acidity, grain. For me something very special, but I have on 15.12. Birthday! So much for that. I got it for my birthday too. The consistently good reviews suggest a great malt. 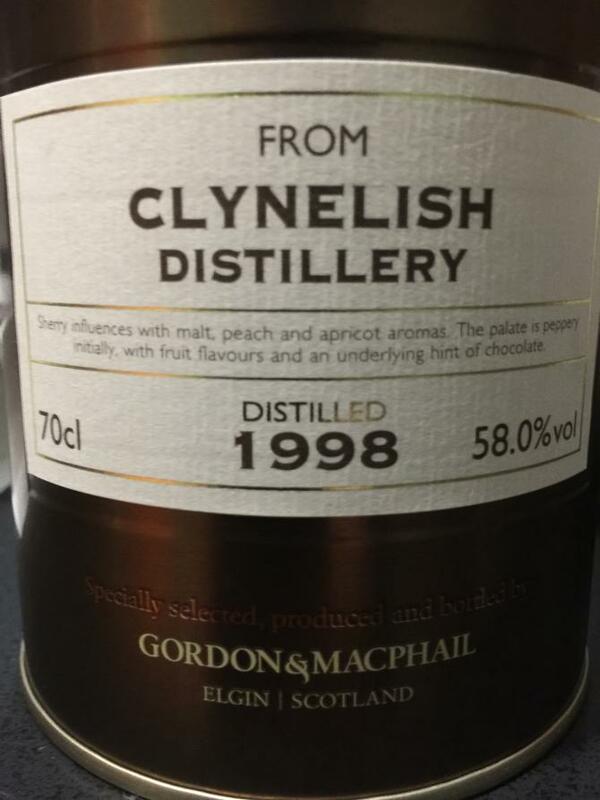 He will replace the Arran Single Cask of 15.12.2000 as a birthday dram. I will then add my impressions. Finish moderately long and feel it is just the right amount. Fairly balanced. Warm nose: wax, honey, spices, sherry fruits, spices. With time, it is greedy, malty, dried fruits. In the mouth: Wouaouh! Fruit syrup, juicy to the extreme! Intense ! What flexibility ! 58%? Really ? Incredible, perfectly integrated alcohol. Final short by contrast, but we do not care! With water, it is the fresh fruit that stands out in the nose, to the detriment of everything else. It loses in wealth, just as in the mouth. Do not add water to this jewel! I like it very much. This is not a complex flavor miracle, but with a little water, it becomes an autumnal easy drinker, which I can well imagine on rainy days in front of the fireplace. 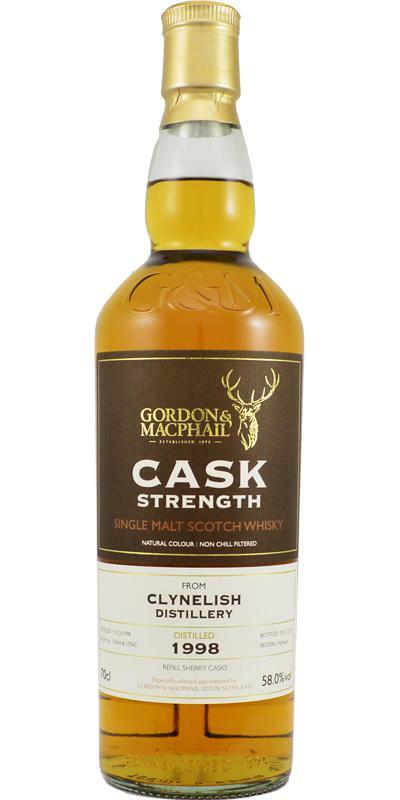 The 2nd-fill barrels preserve the Clynelish character.